Interior design for Beirut’s leading department store. ABC is Lebanon’s oldest department store; a name that remains engraved in the hearts and minds of the Lebanese shopper. For over 80 years, ABC has provided customers with quality merchandise, professional service and a vibrant and eclectic shopping environment. Located in the heart of Beirut, ABC was the first retailer to provide fixed prices in a country where bargaining was a tradition, first to employ women on its sales force, the first company to advertise in Lebanon, and first department store to open its doors in the Middle East. “This is how a department store should look." The concept celebrates ABC’s heritage, referencing the innovation of Lebanese architecture and design and the inherent sense of style of its people. The store design DNA is based on energy and theatre – a vibrant mix of glamour, elegance and sophistication with an urban edge. The material palette combines glamorous materials with edgier ones, juxtaposing brass against concrete and decorative details against slick contemporary forms. The premium, bold and contemporary design aesthetic features clean sight lines, unique focal points and stand out materials. A key design feature is a statement pattern floor that anchors each level in-store, referencing traditional Lebanese tiles with a thoroughly contemporary approach. Working closely with ABC, we reviewed the overall store layout and department adjacencies to create a much more compelling proposition for the long-term future of the store, and enabling growth in key areas such as Beauty and Accessories. We reviewed the brand mix, layout, flow, adjacencies and circulation, and created brand guidelines to set the standard and control the branded concessions in-store. 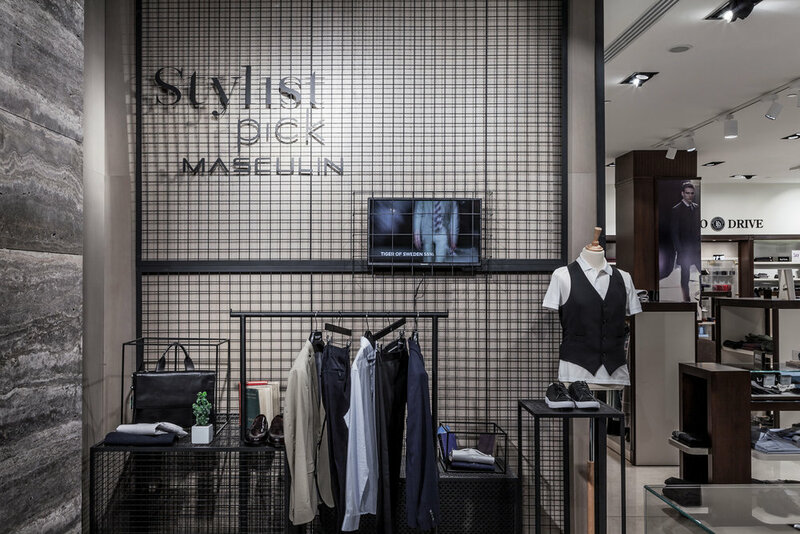 The new in-store identity is personal to ABC, differentiating the department store brand from the products it sells and reemphasising that it is a destination brand in its own right. ABC hosts a regular series of outstanding in-store events and buzzing activities, making it Lebanon's brightest example of retail entertainment. "Feedback has been very positive. Sales have increased thanks to the new layout and revised adjacencies, and all floors are trading well. The new design is much more in line with the store positioning, and the overall mood and feel with the choice of colours and material is more consistent with ABC’s brand positioning and identity."